Customize this 3-in-1 giveaway with your imprint! This multipurpose tool accommodates their needs. They can use this 3-in-1 giveaway when they’re taking hand-written notes or following along on their touch-screen device. 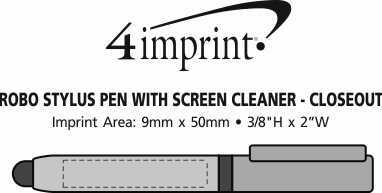 Tools include a ballpoint pen, stylus and screen cleaner. Use the medium point black ballpoint pen to jot down any quick notes. Stylus allows for smudge-free touch screen use. Keep your touch screen clean with the squeegee-style screen cleaner. Screen cleaner is covered by the cap, and the stylus is attached to the barrel, which comes off to reveal the pen. 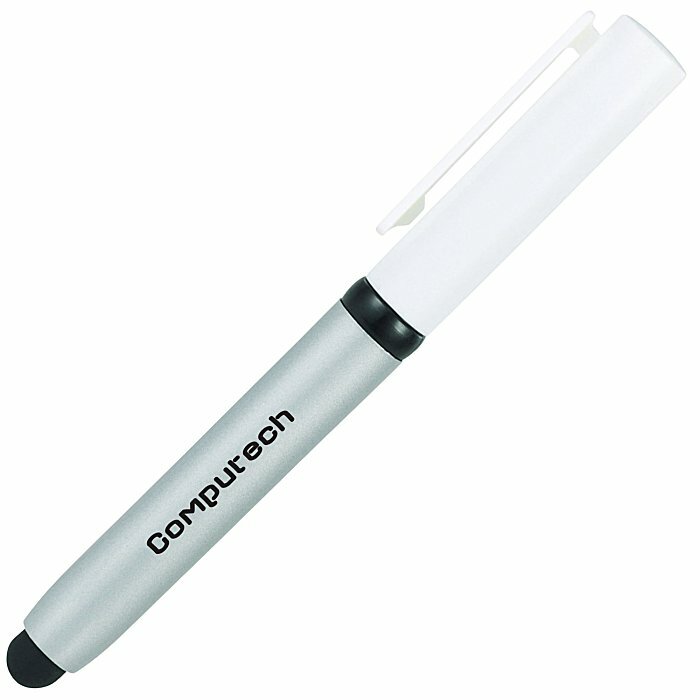 Barrel of the pen is silver with a variety of cap colour options. TIME SENSITIVE OFFER, THIS IS LOW CLOSEOUT PRICING! Your price includes a one colour imprint on side bottom barrel. Imprint size: 9 x 50mm (3/8" x 2").